cut out of the action. that since the heart muscle directs blood flow there really is no reason to go looking uphill to figure out where it all begins. Which direction you choose to describe blood flow starting from is really a matter of perspective, by that I mean the fate of oxygenated versus deoxygenated blood. Since it’s all about me, I’m going to start with the flow of oxygenated blood traveling from the lungs. 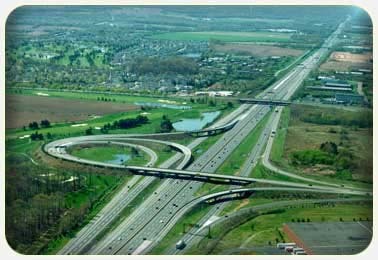 off to the body, the Jersey Turnpike of the vascular system. the lungs for more of that sweet sweet oxgen. I love a happy ending. the heart muscle changes it’s shape. The left and right sides of the heart are cleverly separated from each other by septa. These are thick, tough walls of cardiac muscle that keep the oxygenated blood from mixing it up with the deoxygenated blood among the atria and ventricles. The pulmonary veins are kind of special. If you’ve ever studied the difference between arteries and veins, the veins are typically illustrated in textbooks as blue and the arteries are always red. Illustrators do this to emphasize the oxygenated versus deoxygenated nature of the vessels. 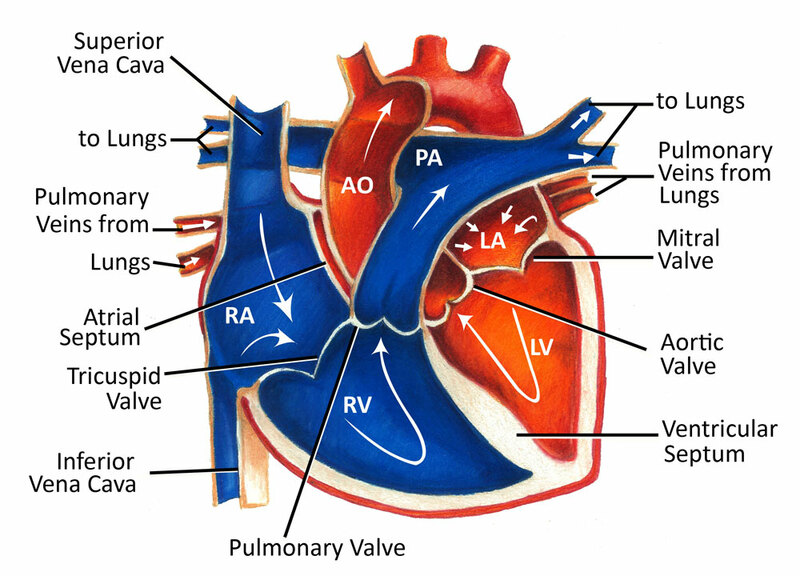 So then non-conformists like the pulmonary veins come along and throw everything off because they deliver oxygenated blood to the heart. So now what color should we use? Do diagrams and biochemical pathways make you shrivel up like cold McDonald’s fries underneath your driver’s seat? Allow me to offer some friendly advice. Today we’re going to dig deep…haha no no way deep, into the pscyhe, into your most primitive, raw memories of how you first learned about the human cell. Now close your eyes and imagine (only imagine yourself closing your eyes. Please keep reading). There you are, adorable, innocent little you ready to dive in, converse first, into a brand-spankin new science textbook, all shiny and full of promise. 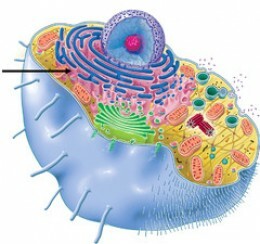 Your teacher instructs all of you to turn to the 1st chapter and there it is….the cell. The ribosomes are red and round. The mitochondria are not unlike yellow jelly bellies, and have you ever seen a smoother endoplasmic reticulum? I doubt it. So you’re staring intently at this artist’s rendition of the cell, and it’s huge…like really huge. Now keep in mind that kids are sponges right, you show them a powerful representative image of a cell and explain to them that it’s the most basic unit of all living things and they will remember it. There’s just one thing…cells aren’t huge they’re teeny tiny, and cells don’t just have two or three ribosomes. They have thousands. No, I’m not picking on teachers or textbooks because honestly, biology is intensly complex at times and it’s good to get a firm grasp of the basics. Besides, any decent teacher or text will go on to explain that cells are tiny and that you have a couple trillion in your body. Most kids get that. What I’m suggesting is that when it comes time to add more dimensions to our learning we have a hard time letting go and don’t realize it. A REALLY really hard time. I can’t tell you how many times some one will mention the state of Maine and a giant lobster pops inside my head. Let’s fast forward to highschool biology class. I’ll never forget it. It was 8am – the caustic waft of chalk dust twirling in the cold, fluorescent light and through the smoke my drowsy, adolescent eyes make out an old, familiar sight traced on the chalk board, the human cell. For a time, all is well. Suddenly, the two dimensional world of my childhood takes a nasty turn down a sketchy alley called “Cellular Metabolism.” The teacher directs our attention to the humble mitochondria “the power house of the cell.” She begins to speak of biochemical pathways, of co-factors, glucose, and enzymes…oh my! It is a complex world indeed, but try as I might to wrap my head around these new concepts all I see are the same two-dimensional jelly beans from my youth. There are those of us who can compartmentalize, who can simply take that new information and memorize it…learn all the sequences and reactions, and simply spit them back out when test time comes. I call this kind of learning “renting.” That knowledge has no depth or dimensions It doesn’t really belong to you. Understanding where reactions take place in the cell, how often they occur, and the alternatives to those reactions is an experience that belongs to you. Yes, if you have the ability to just absorb pure facts and recall them my hat goes off to you, but we as students should always always always make an effort to incorporate a sense of scale into our learning or it WILL come back to haunt us. Allow me to demonstrate. I will now trace back through the steps of what I already know. WARNING this may seem tedious and possibly annoying to many of you, but it really does help. Chickpeas are an excellent source of amino acids, which form chains that make up protein. There are 9 essential amino acids that our body’s need to function. Amino acid chains are produced by ribosomes in our cells from information contained within messenger RNA which is transcribed from a gene which is a specific sequence of DNA, which is tightly bound and coiled around histone proteins. Many tightly packaged bundles of DNA and protein make up chromosomes contained within the nucleus of our cells. The ENd. No, I don’t do this for every morsel of new information I learn, but it is a great way to ground yourself when you begin to feel overwhelmed. I just thought that I would take this time to throw out a friendly reminder that when things start to get a little hot and heavy in the classroom (or the boardroom) seek out that sense of scale. That is all for now my friends. As always, stay classy and never stop learning.